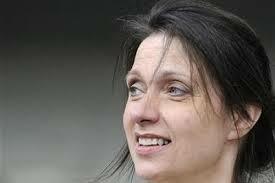 The MS community has been much troubled this week by the death of “right to die” campaigner Debbie Purdy. She fought tirelessly for the law to be clarified on “Assisted dying” because she found her PPMS intolerable. She ultimately starved herself to death, agonisingly slowly, so determined was she to end her suffering. She was 51. Her story troubles me on so many levels. I’m haunted by how dreadful her life must have felt to put herself through such an ordeal. It took her a year to starve herself. I can only hope she is now at peace and her loved ones can move on and feel some comfort from her strength and determination. Obviously I worry for myself when I think about her. I worry that one day I’ll feel the same despair at my condition. I also worry about newly diagnosed MSers out there, horrified by her story, without the inner strength and resources to think it all through logically. I would hate for them to conclude that their fate will be the same. Such negative representations of MS in the media are so damaging for the rest of us struggling everyday with this awful condition. Trying to stay positive for our loved ones and carrying on even though everything in life is so hard. Is it their love for each other that keeps them strong and positive? Does he have inner strength that Debbie Purdy didn’t have? Another Man on Twitter cared for his wife till she died of PPMS and is also horrified by the thought of assisted dying. What was it about her that made her so strong even at the end? The wonderful MS community called Shift.MS promotes the hash tag, “#notwothesame” on Twitter and I find this so useful. No two people with MS will experience the same symptoms and have the same outcome. This appears to be the same with the way we all deal with our disability. One person will feel despair while others won’t. I know lots of MSers much older than me who have not got any worse over the years and have fought their condition with diet, exercise and other lifestyle changes. This is the team I want to belong to! There is always hope and support out there and I need to be actively involved with other MSers both virtually and physically in order to get through it. I’m not necessarily against assisted dying but what worries me is the impact such debates have on people who were otherwise dealing with their condition pretty well! I’d love to hear the thoughts of other MSers on this subject. How do you stay positive? ← Christmas MS hands ……………. Cloth nappies or disposable? Breast feed or bottle? Manual or automatic car? Rent or buy? Live or die? Marjorie has outlived two husbands and at almost 100, she has outlived almost all family and friends. She is still relatively Independent, in good health, still lives a very full life and, God willing, will be around for years to come. Evelyn and her husband had outlived all peers. Family and otherwise. Harry had dementia and Evelyn was his carer and had her own health issues. Harry died post surgery. In the following month, Evelyn expressed many times that her time had come and she was sad at being alone. No-one of her generation that understood. Within a month of losing Harry, Evelyn too was gone. 9 years later and I still grieve for my grandparents. But my nana was ready to go. I’m sad for my loss, but take comfort in our last conversations and that she had lived a full life and died without regrets. Live or die. Perhaps only the author of our life can or should be judge and jury. Most of us will fight. But what about those who have fought and now want to be passing and at peace. We have the choice at whom we choose for our role models. Debbie might not be everyone’s role model, but I respect that to her dying breathe she was fighting – even if it was for the right to die. I find the difference on this staggering. I’m on Team You – young, SPMS, and with every intention of fighting this beast tooth and nail. But then, on a message board I frequent, there are people who are older than me and in much better physical shape who have already signed up for Dignitas. How can humans be so different? But back to Ms. Purdy, I remember her story from when I lived in the UK and am sad to hea of her passing and horrified to hear of how it happened.